Canopy beds are those awesome four-poster beds with the decorative fabric or that of a mosquito net like fabric used that cover the four corners. 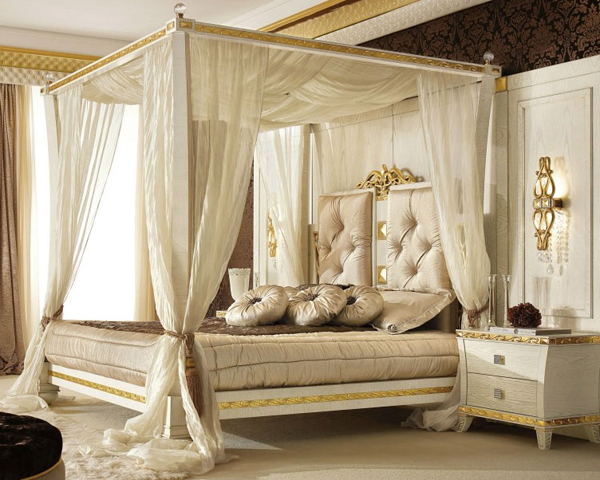 Some of the canopy beds are not the four-poster bed type; instead, a ring is on top the bed and still has that fabric or mosquito net fabric. These fabric used are both decorative and functional, and I’m pretty sure you know what I mean. 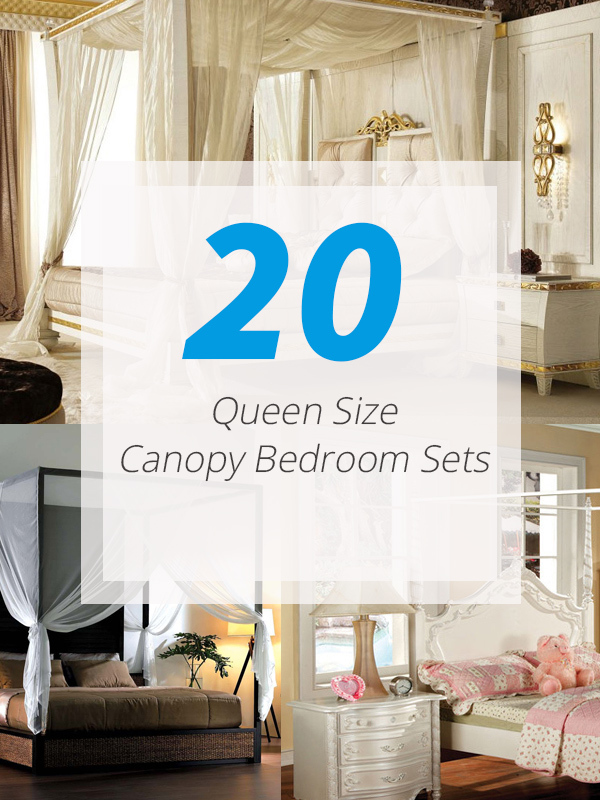 Today, we will be showing you a list of 20 Queen Size Canopy Bedroom Sets that will surely impress you. Some of the bed designs are superb and unique while others are simple and works well with traditional to contemporary bedrooms, take a look and be impressed with them! Here we go! 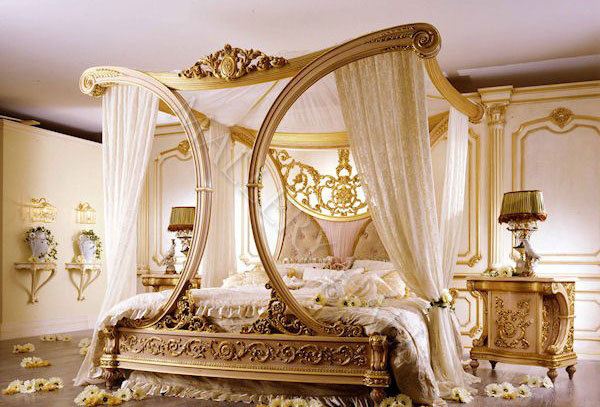 If you want to feel like Cleopatra, this bed is for you! This is indeed glamorous and fancy – maybe even expensive! One homey iron bed dressed in white. The tiny white furniture in this space is pretty too! Big luxurious bed with awesome drapes and pillow set up! Did you notice that the bed matches the bedside table? This is one wonderful white canopy bed; this white bedroom sure is highlighted with the beddings used in the bed. How do you find this large canopy bed? This is one gorgeous bedroom with white drapes and cute night stand. Looking at the large windows of this bedroom makes the drapes of this canopy bed useful than decorative. 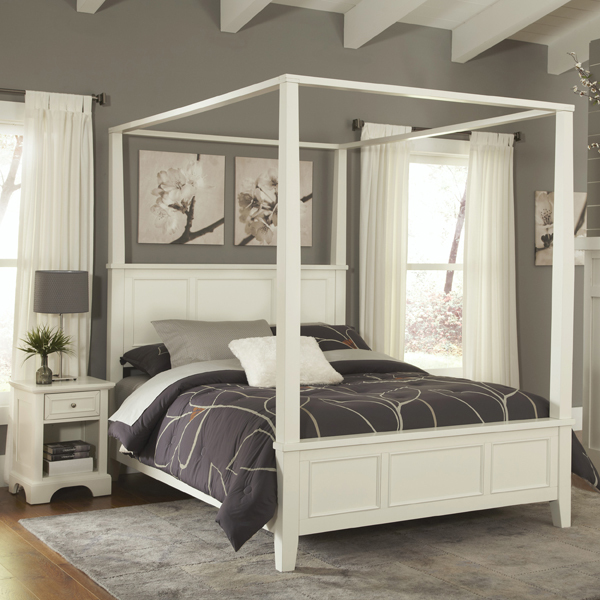 Home Styles features this beautiful white canopy bed and is associated with white furniture on the sides. This canopy bed was made for our little princesses or little sisters! It looks cute with all the wheels and the four corners of the bed. This beautiful canopy bed has this awesome details on the top portion of the canopy and the posts too! Using a floral bedding set makes it all girly. 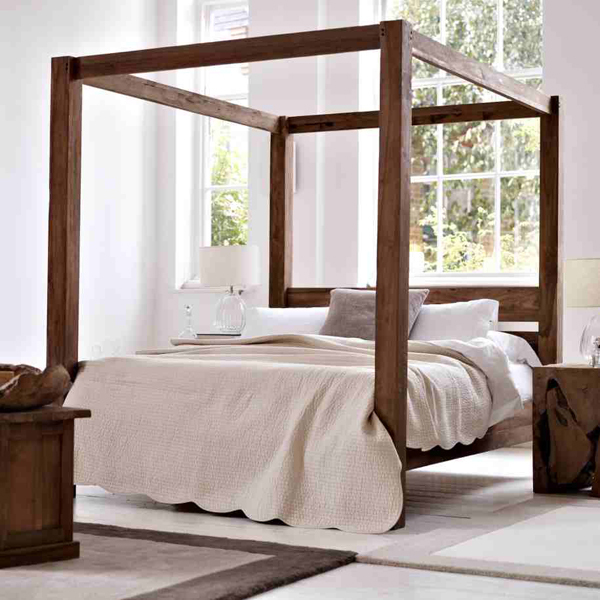 This is one large canopy bed that I will personally love to have in my house for my brother or for the guest bedroom! 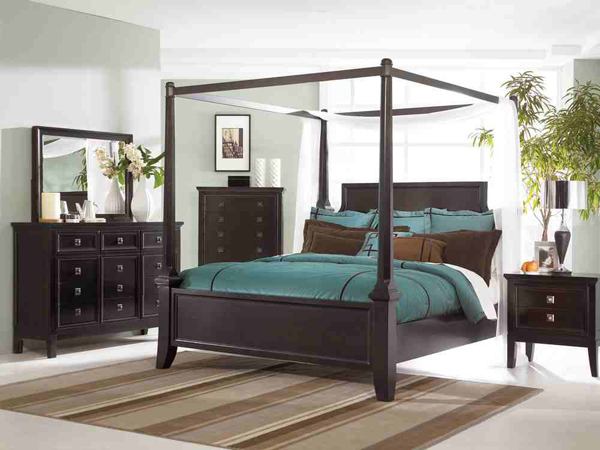 Another beautiful contemporary canopy bed from Home Styles! Simple design of the posts and the frame; you can always add drapes to this bed whenever you want to! I love dark chocolate so there is no way that I wouldn’t love this bed at all! The bed along with the cabinet and night stand is just beautiful! This is one contemporary canopy bed that sure is fancy and classy at the same time! The color of this bedroom set is just stunning! Adding plants inside the bedroom is always great for fresh air and added feeling of nature. If you have seen the all-white canopy bed and furniture a few pictures above this – here is one example of an all wooden canopy and furniture in brown. 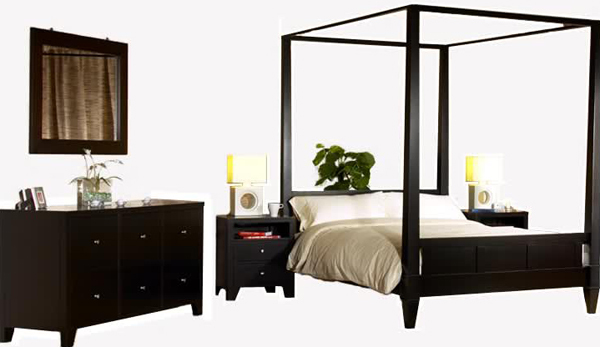 Here is another canopy bed with a contemporary feel with all the added decorations and furniture! Feel like staying in bed all day? Here is one contemporary bedroom that makes you feel like you are in Bali or in a resort somewhere in the Caribbean! Talis is one canopy bed created and design for females! The design of the bed frame and head board sure looks crazy beautiful! Tufted ottomans, armchairs and bed frame and head board! Pretty awesome right? Love the entire feel and look of this bedroom. Here is one canopy bed staged beside a chandelier and cute white night stand. The details on the canopy bed sure is special and beautiful. There you have it ladies and gents! 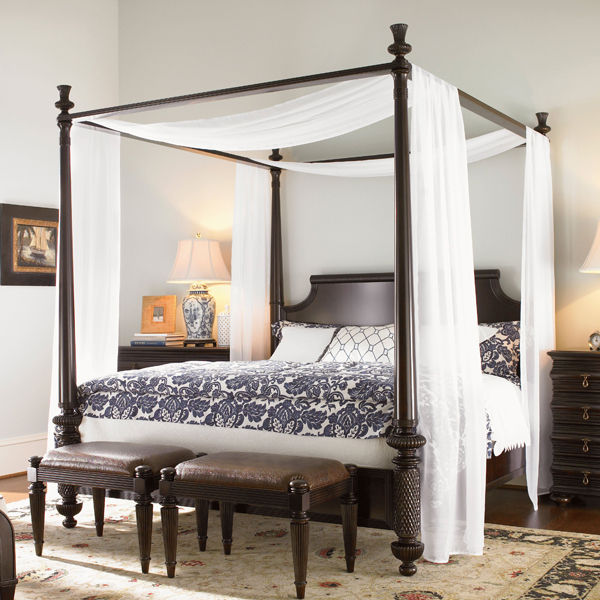 An awesome list of queen sized canopy beds in its full glory! I can imagine what ran through your mind while checking out the pictures because you know for yourself that everyone sure have that canopy bed ideal for them – women and men alike! Hope this list have impressed you and will make you want to have one like this!